Welcome to the AlbAlb Club! We want to develop a community of art and design lovers. But we know that sometimes there is a need for an extra incentive to follow your passions. Therefore, whenever you attend a course, you will be rewarded with points on your AlbAlb Club membership card. Accumulated points will bring you discounts on future courses. At 4 accumulated points you can opt for a 15% discount on the cost of a new course. At 8 accumulated points you can opt for a 25% discount on the cost of a new course. At 10 accumulated points you can opt for a 25% discount on the cost of a new course. 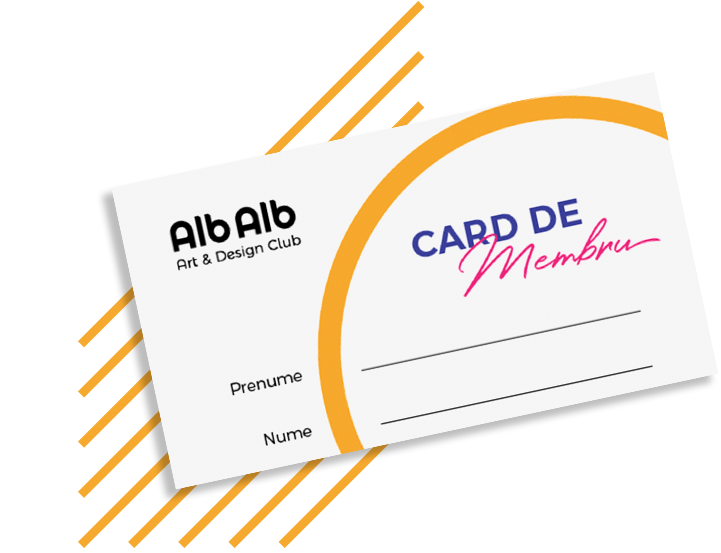 In addition, regardless of the number of points accumulated, members of the AlbAlb Club receive invitations to private events at the AlbAlb store. How do you accumulate points on your card? 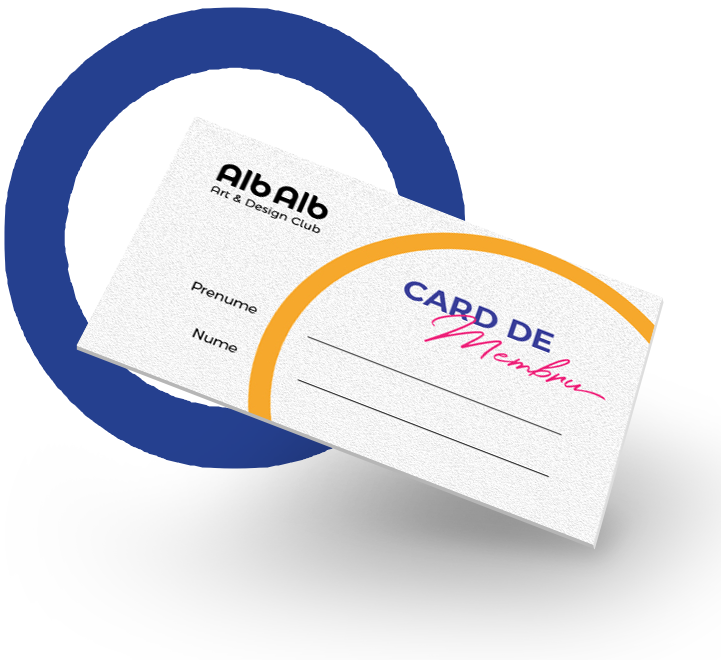 You will receive your AlbAlb Club membership card on participation in your first course at the AlbAlb Club. 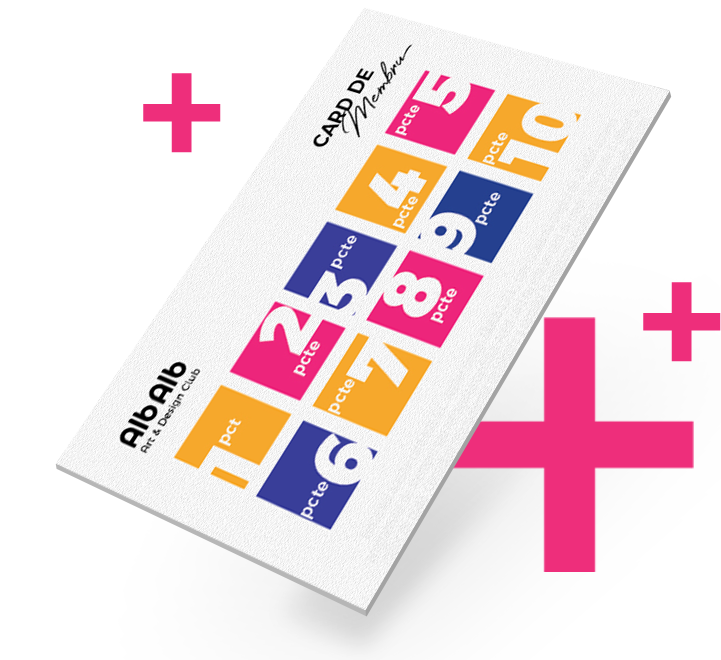 At each 2-hour course, you get 1 sticker on your AlbAlb Club membership card, which is equivalent to accumulating one point. In the case of workshops longer than 2 hours, you get a sticker for every 2 hours of the workshop. Please read the AlbAlb Club loyalty campaign policy.